Let’s face it, 2011 hasn’t been Bollywood’s best year, and there’s much that can be done to make sure 2012 is better. Let’s take a look at what should be the industry’s top fifteen resolutions for the New Year. 1. Use “Hinglish” titles only when appropriate! I wonder if it’s even fair to label Bombay’s film industry the “Hindi” film industry, because I’d say at least 50% of film titles in 2011 have been in English. Sometimes using English in a title works (i.e. The Dirty Picture, Tanu Weds Manu), but these Hinglish (many times, simply English) titles often elicit a “WTF.” Titles like Always Kabhi Kabhi, Luv Ka The End and Love U Mr. Kalakaar are unintentionally hilarious (read: stupid) while generic English titles like Game and Ready are just plain lazy. A title is one of a film’s first selling points and can spark interest or act as a complete turn off, so let’s work on getting them right. 2. Kareena Kapoor will stop taking on boring roles in mediocre films. Look, no one’s saying Kareena Kapoor can’t act. But it would be nice if she did it more often. In both Bodyguard and Ra.One, Bebo played second fiddle to an attention-hogging male lead, making easy money in mediocre films. Is this what we expect of the industry’s most bankable female actor? With over ten years of experience, she should be setting (and raising) the bar for other actresses, not taking the easy way out by latching on to a Khan in hopes of a hit film. She recently said that she is glad to be working in Madhur Bhandarkar’s Heroine because she hasn’t done a “performance-oriented” role in a while. The question is: shouldn’t all of Bebo’s roles be performance-oriented? 3. Music directors will get over the whole “sufi” craze (It’s good music, but let’s have some variety!). And let’s give our female singers some more scope. It’s become a staple for every Hindi film soundtrack to feature a sufi-inspired track that most likely features Rahat Fateh Ali Khan (or someone who sounds like him). Sure, they’re great songs, but this trend is getting extremely repetitive. On that note, female singers are getting completely sidelined by their male contemporaries because so many film soundtracks feature a solo male singer (i.e. Zindagi Na Milegi Dobara, Rockstar, Mausam). Let’s mix it up, shall we? 4. Bring those scissors out. Let’s start editing better so good movies don’t go to waste. 5. Shah Rukh Khan will stop trying so hard, and instead, do what he does best. I hate to break it to you, but Shah Rukh Khan is getting old. The 46 year-old actor simply can’t pull off a Raj from Dilwale Dulhania Le Jayenge, no matter how badly we want him to. This year, we’ve seen him as the iconic Don and G.One. While he was good in both, the good ol’ SRK magic is completely missing, and it might be because King Khan is trying too hard to be cool. I mean, really, SRK mouthing lines sung by Akon? It just doesn’t fit. I’d like to see SRK play roles that play up his signature charisma, without forcing the “cool” factor down audiences throat. We get it, he’s cool. He is SRK, after all. 6. Bring back good ol’ classic Bollywood, trees and all. Today, we laugh about drawn out song sequences with a romantic pair singing in fields and forests, but these are the characteristics of Hindi cinema that made it famous. It’s definitely nice to see filmmakers try different things, but audiences are hungry for some classic Bollywood—probably why they lapped up a film like Dabangg two years ago. Even The Dirty Picture played up classic Bollywood stereotypes and audiences loved it. In 2011, most films were either “slice of life” flicks or masala action films, but the quintessential Bollywood drama is slowly becoming extinct. 7. 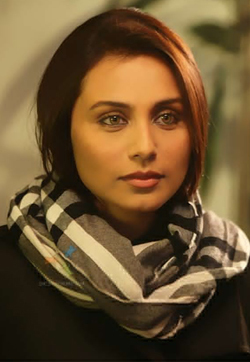 Actresses like Rani Mukerji, Preity Zinta, etc. will come back in a big way. With 2011 acting as one of the most disappointing years for female actresses, audiences are looking back to old favourites like Rani Mukerji and Preity Zinta with nostalgia, who could easily stand out even in films with dominating male actors. It’s good news that Karisma Kapoor will have Satte Pe Satta and Dangerous Ishq (2012), because the industry is in dire need of good female performers. 8. Yash Raj Films will take a break until they rediscover their old magic. Remember when a Yash Raj Films was a keenly anticipated event? Not anymore. Both Mere Brother Ki Dulhan and Ladies vs Ricky Bahl were boring duds, proving that YRF have lost the spark they had in the early 2000s. Y-Films, a branch of the production house focusing on films targeted at the youth produced Luv Ka The End and Mujhse Fraaandship Karoge, and only the latter was watchable (Don’t get me started on the former). It’s time that Yash and Aditya Chopra put things on hold until they figure out what’s going wrong and how to fix it. 9. The industry will finally get over Katrina Kaif. Please? By now I’ve accepted that Katrina Kaif is here to stay, and she’s certainly more watchable than she was a few years ago. But why can’t the industry accept her for what she is: a beautiful woman, but an absolutely mediocre (and I’m being generous) actress. After ‘Sheila Ki Jawaani’ in late 2010, she was also featured in a song from Bodyguard and now in Agneepath’s ‘Chikni Chameli.’ She’s about as good of a dancer as she is actor, but her popularity with audiences seems to make her first on every director’s wish list. There isn’t much more to say about Kaif, because if you’ve seen any of her movies and have half a brain, you’ll know why she’s the most overrated star in the industry. 10. Mallika Sherawat will give up on Hollywood. Look, Mallika. I know Bollywood hasn’t always been the most kind to you, but you haven’t exactly been the easiest person to get along with either. Let’s call a truce. We miss you, and now that you’ve had some fun meeting foreign celebrities in Los Angeles, it’s time to get back to work in India. In 2011, we saw Sherawat bust a move to item numbers like ‘Razia,’ ‘Shalu’ and ‘Jalebi Bai,’ but both her cross-cultural acting pursuits were laughable. Let’s not forget that this chick can give most current actresses a run for their money; she was excellent in 2002’s Murder and 2006’s Pyaar Ke Side Effects. I’m not sure if the problem is at Mallika’s end or the industry’s end, but the fact of the matter is that we don’t get to see her on screen in full-fledged roles enough. Anyway, why do Z-grade films in Hollywood when you can do big-budget films here? 11. Abhishek Bachchan will get a hit! In the past five years, Abhishek has had thirteen releases and only three sure-fire hits (Guru, Dostana and Paa). If there’s anyone who desperately needs a successful film right now, it’s him. In 2012, he’s playing it safe with multi-starrers like Players (which looks wannabe-cool but might do well), Bol Bachchan and Dhoom 3 (which will likely release in 2013). For Abhishek’s sake, let’s hope one of his films in 2012 is a quality film that becomes success. 12. Deepika Padukone and Sonam Kapoor will take acting classes together. Their debuts were on the same day five years ago, but neither actress has managed to prove their worth despite all the hype. In 2011, Deepika was bland in Aarakshan and Desi Boyz while Sonam hammed (as usual) in Mausam and Thank You. We’ve given them five years to prove their acting chops, and that’s five years too long. Desperate times call for desperate measures and it’s time that Padukone and Kapoor invest in some acting classes before disappointing us time and time again. 13. Madhuri Dixit will sign a damn film. After Aaja Nachle’s failure at the box office, it’s understandable that Madhuri Dixit is being extra picky about her next film. There’s been tons of rumours, but no official announcements. The clock is ticking, Mads. Just sign it! 14. The obsession with foreign actresses will end. Every year, there’s at least one film that features a foreign actress trying to be desi. This year, it was Imtiaz Ali’s Rockstar find, Nargis Fakhri, who was almost universally panned for being one of the film’s weakest points. When will filmmakers learn that fair skin and dark hair doesn’t make a good actress. I’ll be interested to see how Amy Jackson fares in the upcoming Ekk Deewana Tha, though I don’t have high hopes. It’s not that foreign actresses are bad, but they are given roles that don’t fit them. It’s not rocket science, people; if you don’t look and sound like you could be Indian, how can you play a person who is born and bred in India? 15. Salman Khan will raise the bar for himself. The last few years have seen a re-emergence of Salman Khan’s popularity, and rightly so. He’s undoubtedly the king of the masses, but it’s time for him to move away from the masala action entertainer and show us that he can do something different. Wanted, Ready, Bodyguard – they’re all starting to look the same now. Rumours suggest that he’s teaming up with Rajshri Films for another love story, which might just do the trick.